Here is a list of most critically endangered species of India. The population of these animals has been considerably reduced over the past 50 to 100 years. On the whole, humans are mainly responsible for this much reduction. 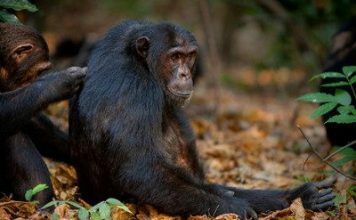 Some of the foremost reasons for the decline includes habitat loss, poaching, habitat degradation, human encroachment, excessive hunting, and for commercial purposes. The white bellied heron which is also called great white bellied heron, is a bird that inhabits all along the foothills of the eastern Himalayas in India, Burma, Bhutan, and Bangladesh. Some of these species are also found in Nepal. The white-bellied herons are for the most part lead a solitary life on unperturbed riverside and wetland habitats. These birds are completely grey and with their throats being white in color. The population underwent rapid decline possibly due to the habitat destruction or degradation. 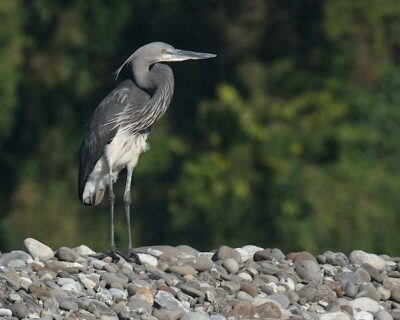 The white-bellied herons have a bill measuring at 15.2 – 17.6 cm (6.0 – 6.9 inches). The tarsus us 17.1 – 21.6 cm (6.7 – 8.5 inches) long. The height of these birds measure around 127 cm (50 inches). The white-bellied heron is the second largest heron living on the planet. The tail is around 19.9 – 21.6 cm (7.8 – 8.5 inches) long, together with the wing chord that measures at 54.6 – 57.2 cm (21.5 – 22.5 inches). They have a typical wingspan of up to 2 meters (6.6 feet). White-bellied herons weigh around 2 – 2.6 kg (4.4 – 5.7 lb). They can walk on grounds. The red-headed vulture also called Indian black vulture belongs to the family of Accipitridae. These are the medium-sized vultures with the length measuring at 76 – 86 cm (30 – 34 inches). The weight of the red-headed vulture measures around 3.5 – 6.3 kg (7.7 – 14 lb). They have a wingspan of about 1.99 – 2.6 meters (6.5 – 8.5 feet). These birds are easily distinguishable by their prominent red head and a black body. These birds once lived in large numbers all throughout the range of south-eastern Asia, Indian Subcontinent, and Singapore. 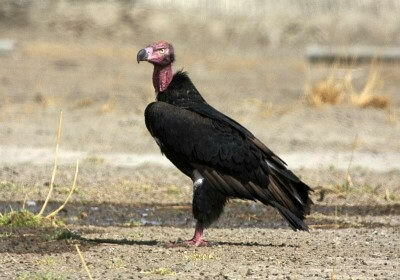 Today, however, the vultures are restricted to only northern India. Red-headed vultures fancy their living in open areas such as semi-desert regions. They are found in the deciduous forests, river valleys, and foothills. Red-headed vulture inhabits at a height of 3,000 meters above sea level. The extensive use of NSAID Diclofenac in veterinary medicine makes these species endangered. Diclofenac is a compound which is awfully dangerous and poisonous to vultures. The snow leopard is a medium-sized cat that inhabits all along the mountain ranges of Central Asia. Snow leopards are known to live in the alpine and subalpine regions normally at an altitude of 3,350 – 6,700 meters (10,990 – 22,000 feet) above sea level. There were around 4,080 – 6,590 individuals estimated but the population is suspected to be lesser than 2,500 by now. 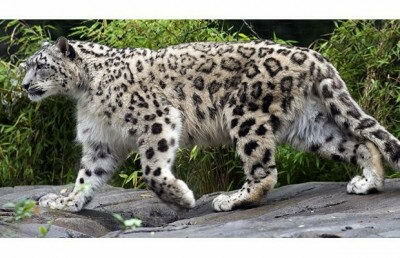 The weight of snow leopards measures around 27 – 55 kg (60 – 120 lb), with few species can be as heavy as 75 kg (170 lb). The length of a tail measures at 75 – 130 cm (30 – 50 inches). These leopards are perfectly adapted for living in cold environments. 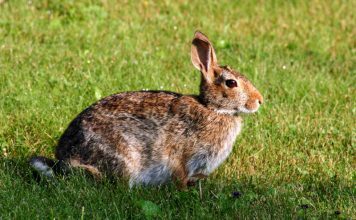 They have stocky body and thick furs with their ears being rounded. They have a long tail that maintains an absolute balance while walking on mountain. 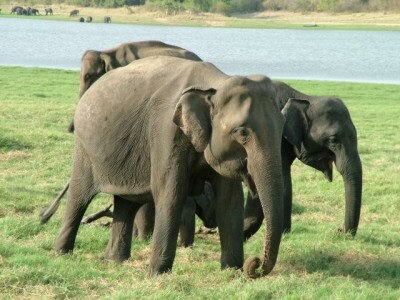 The Indian elephant is one of the three subspecies of Asian elephant that are endemic to Asia. These elephants are also listed as endangered species by the International Union for Conservation of Nature. During the last three decades, the population undergone 50% decline. They are smaller as compared to the African elephants. 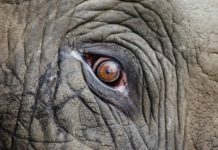 The shoulder height of these elephants measure around 2 – 3.5 meters (6.6 – 11.5 feet), with the weight measuring at 2,000 – 5,000 kg (4,400 – 11,000 lb). Males are typically larger than the females and the latter lacks tusks. They have relatively smaller ears but wider skulls. The Indian elephants have larger trunks in comparison to the African elephants. The fin whale also known as finback whale or common rorqual is a marine species and it belongs to the family of Balaenopteraidae. Fin whale is the second largest animal in the world, comes after the blue whale. The length of the fin whale measures around 27 meters (89 feet). These whales weigh around 74 tonnes (73 short tons). Fin whales have a long and slim body. They are the inhabitants of North Atlantic and occupy all the major oceans of world including polar and tropical waters. These whales, however, are not found in the south and north poles. 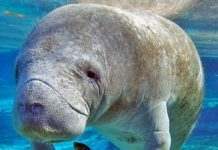 One of the largest concentrations of these mammals resides in the cool and moderate waters. 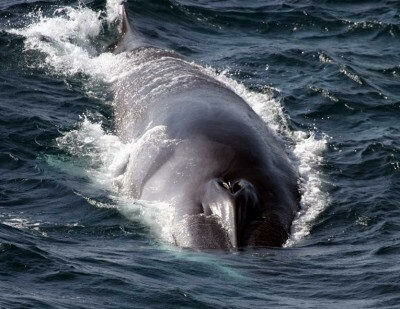 Fin whale largely preys on crustaceans, copepods, squid, fish, and krill. 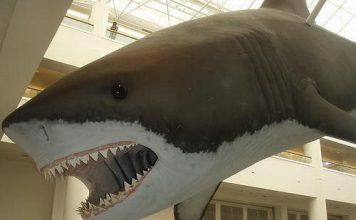 These whales were excessively hunted during the 20th century with an estimate of more than 700,000 individuals were killed in the Southern Hemisphere in the year 1905 – 1976. 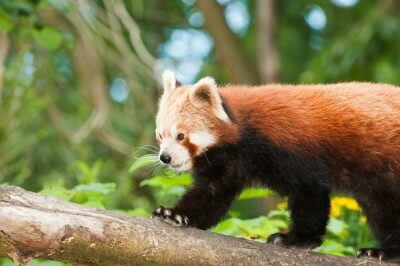 The red panda is a small arboreal bear that is endemic to the southwestern China and eastern Himalayas. These animals belong to the family of Ailuridae. The red panda is fairly larger than the domestic cat. 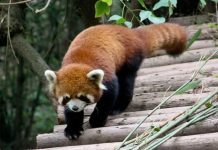 They are characterized by their reddish-brown fur and they primarily feed on bamboo, insects, eggs, small mammals, and birds. Red panda is a solitary species is commonly remain active at the twilight hours. These species are classified as vulnerable by the International Union for Conservation of Nature. 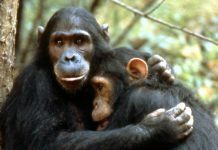 There are no more than 10,000 individuals left in the wild. Some of the foremost causes of their population decline is poaching, inbreeding depression, and habitat loss. The length of the red panda measures around 50 – 64 cm (20 – 25 inches) excluding tail that measures at 28 – 59 cm (11 – 23 inches). Red panda weighs around 3.7 – 6.2 kg (8.2 – 14 lb). These animals inhabit all throughout the range of temperate forests of India, Himalayas, Nepal, and China. The tiger is the largest cat with the length measuring at 3.3 meters (11 feet), and weighs around 06 kg (670 lb). 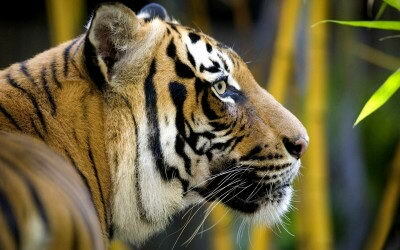 Tiger is ranked as the third largest land carnivore coming after the brown bear and polar bear. These cats are easily recognized by the vertical stripes all over its body. Tigers were once abundant across Asia, Turkey, and eastern coast of Russia, but over the last 10 decades, the population has been reduced by more than 90%. 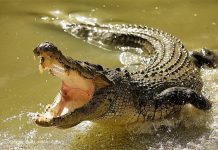 They have disappeared from the islands of Bali and Java and are also absent from southeast and eastern Asia. Tigers are classified as endangered species by the IUCN. According to a rough estimate, there are only 3,062 – 3,942 individuals left in the wild as against the beginning numbers of 100,000 at the start of the 20th century. They occupy one of the largest areas measuring at 1,184,911 km2 (457,497 sq mi). Gee’s golden langur commonly referred to as golden langur, is Old World money that inhabits in the western Assam (India). 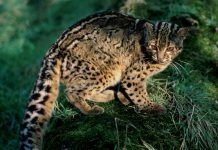 These animals are found in the foothills of Bhutan and Black Mountains. 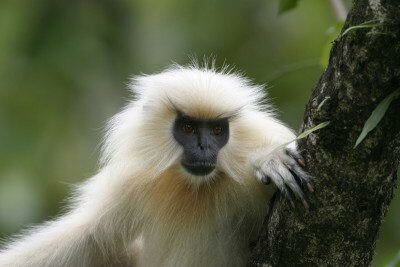 Golden langurs are classified as highly endangered species. These animals were first observed in the year 1950. They have a fairly long tail that measures around 50 cm (20 inches). Langur for the most part dwells in lofty trees where its lengthy tail serves as a balancer when it leaps across branches. Golden langur acquires water from dew during the rainy season. They are herbivorous and they feed on seeds, buds, flowers, unripe fruits, and young leaves. These species are found in the Brahmaputra river, Black Mountains, Sankosh river, and Manas river. They are currently endangered species with the total population of no more than 1000 remaining individuals.